I might have to add this to my collection. Looks great. Resin. 1/6. Yagher. "Nine Killed you---Nine shall Die!" Indeed you should, when I'm on downtime, I like to live vicariously through the pages of this forum! Wow! Is just the one available? No...resin model. If you shoot me an email and I can set you up with the producer's info. My kit just arrived today...and again, as with my last Rebel Resin kit, great sculpt ruined by absolutely terrible casting. To top it off there's gobs of putty all over it in a half assed attempt to fix it. I've already emailed for a replacement. This is exactly how it arrived...I'm sorry but for almost $200 I expect better quality than this. Well....that's a bummer. Oh well. easy come, easy go. Guess I can live without it. Yeah, I just heard back from him....he told me to just return the kit for a refund, and asked if I could do better. Wow. I explained to him that I can't do better, but then again I'm not a kit producer. Update...this guy's second reply absolutely floored me. He explained that the kit is full of air bubbles, and that they could have been prevented, but it's quote: "too pricey" to cast them right. Soooo...charge another $5-10 per kit? That's the last kit I buy from Rebel Resin. They pay for some good sculpts to be sure....but the casting sometimes can be a tad rough. if not downright ghastly. I don't like messing with seam lines, air bubbles, pinholes and stuff. I really just wanna wash it and paint it when I get a kit. That's why I do not buy many. Too much prep. 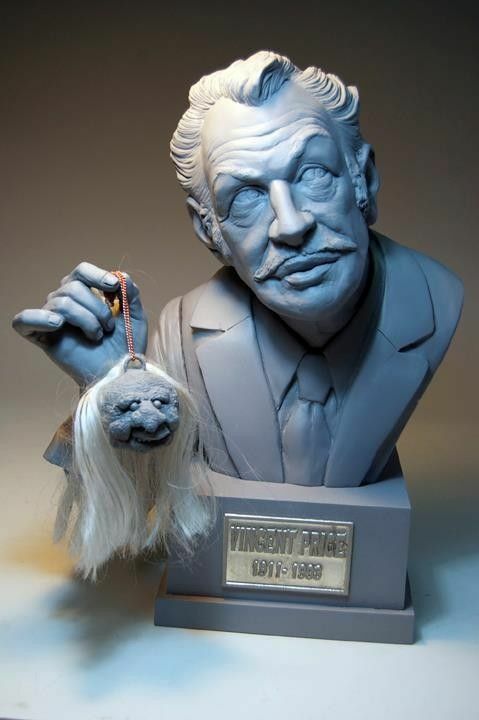 If I am not mistaken they did the Vincent Price Shrunken Apple Head tribute. I bought one after seeing the finished example with the metal nameplate. The actual kit....does not come with a metal nameplate,lol. It had some EXTREMELY rough spots too....but I did a work around. That's a great piece and I fondly remember the comic book ad, drawn by Mort Drucker, no less! Sorry about the problems you had with your kit, SD. For what it's worth, this is the first time I've seen closeup pics of the Kharis kit and I'm absolutely floored by the likeness! Agreed....Yagher knocked it out of the park. But the casting is a turn off. No one wants to do hours of prep work before getting to paint it. 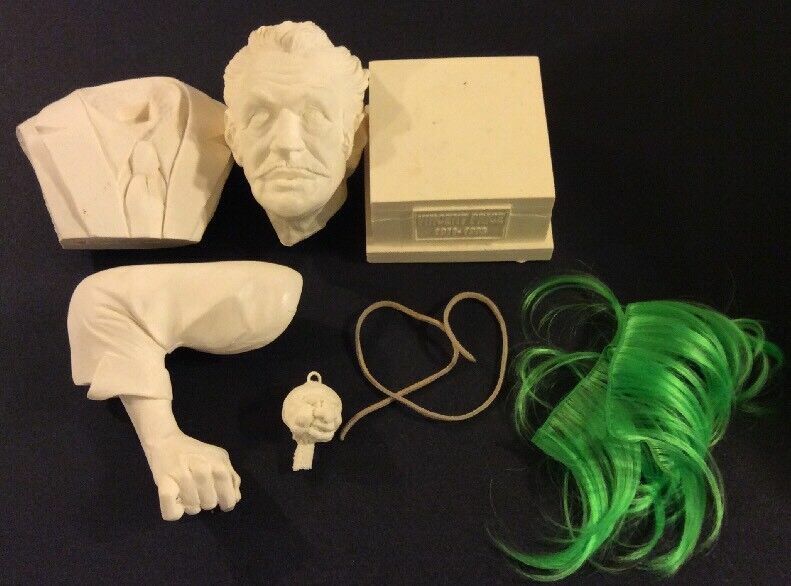 I painted many of there kits before never had a issue with casting.Just to name a few not this way quicksand,the fly,ghoul,Vincent price shrunken head kit.It could be the molds for the base weren't properly done.If so that is easily corrected with new molds.But these are garage kits! My first was a mermaid kit of the creature super deformed you want to talk about bad castings?I seen some lou,lou's in the 80's that make any modeler cringe.Now if you want out of the box perfect & ect then a alternative route is sideshow collectibles.We have to remember these are Garage kits made by a one person and not produced in a factory.So sometimes mistakes happen that can be corrected if all parties involved act like civilized individuals. Clint Eastwood in Tarantula 1955-Dropping Napalm.Follow in Order. I agree completely. Unfortunately in this case, civility went out the window pretty quick. This was the second kit I received from Rebel Resin with major casting flaws. 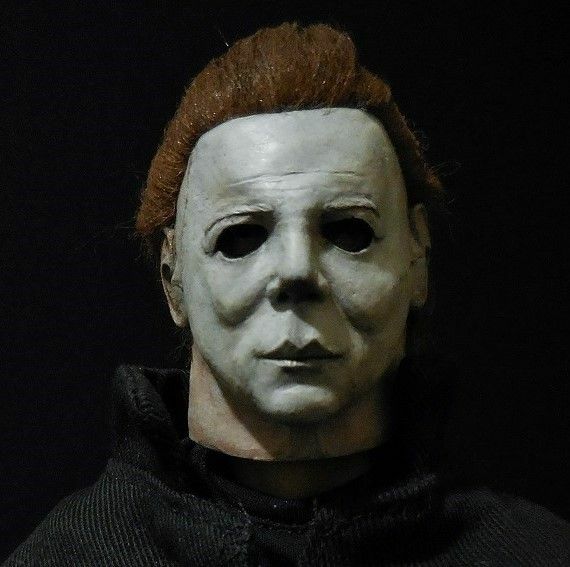 The first was the Mummy's Ghost half scale bust, which had an entire large section of bandage missing on the hand. I tried to fill it in and reculpt it myself, but I'm not a sculptor. If I was I'd make my own kits not buy someone else's. No matter how hard I tried I couldn't match the sculpted texture. It looked like crap. So, I contacted the producer and sent them pics of the bad hand, and they charged me $30 for a replacement of THEIR poor casting work. In the pic I posted above, there's no way I can deal with all that putty and resculpt all that lost beautiful wood grain to match. Rebel Resin refused to replace the part, so I had to take it up with Paypal. I'm probably going to end up paying someone to reconstruct the base exactly using real wood. Well like mentioned the casting's that received were fine with me and had no problemo's.Just wanted to point that out same with resincrypts castings that you mentioned were bad in another thread.Vinny at resincrypt exchanged parts with me no problemo aswell.Now if you told me Resin from the Grave now that's a whole story by itself(lol)!